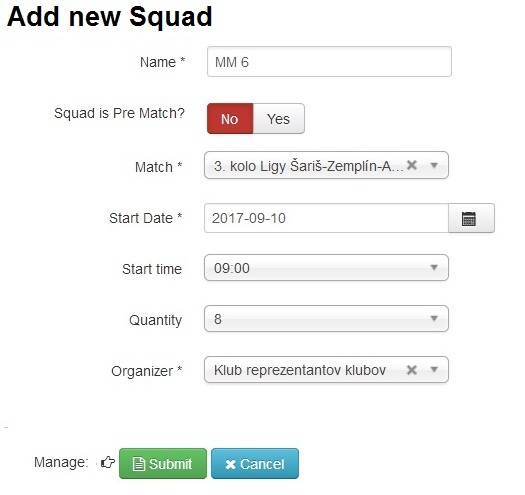 Insert new SQUAD is only allowed for users with MANAGER status. SQUADS are created for racing purposes to register the shooters for the respective race through the respective SQUAD. For create SUQADS is used appropriate form. Once it is stored and assigned to the appropriate competition, SUQAD will be published.